We've moved! Please note our new address and phone numbers! Any knowledgeable baseball fan will tell you that the big league baseball teams never use brand new baseballs in a game. They're too shiny to play with. So, what do umpires use to prep the balls and dull the shine? 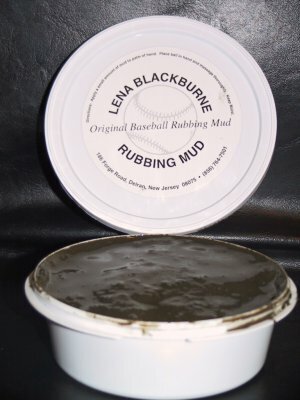 For nearly three quarters of a century, a special variety of Jersey muck, Lena Blackburne Baseball Rubbing Mud, has been removing the sheen from baseballs for just about every professional baseball team in the country. 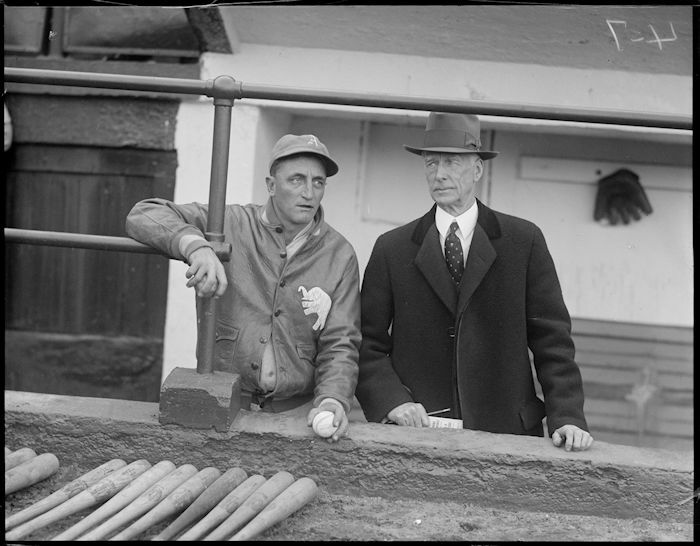 It all began in 1938 when an umpire complained to Lena Blackburne, a third base coach for the old Philadelphia Athletics, about the sorry condition of the baseballs used by the American League. Back then a ball was prepped simply with mud made of water and dirt from the playing field. The result? The ball's cover was too soft, leaving it open for tampering. Something was needed to take off the shine but not soften the cover. Blackburne took on the challenge. 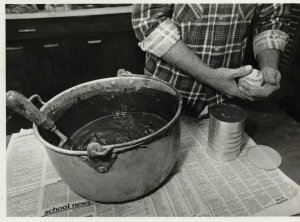 Next time he returned to his home in Burlington County, he checked out the mud along tributaries of the Delaware River until he found some muck (the whereabouts of the mud hole is still a dark secret) with a texture he felt would do the job. Taking a batch to the Athletics' field house, he rubbed some balls with the stuff. It worked like a charm! What's more, it had no odor and didn't turn the balls black. The umpires were happy, and Lena Blackburne was in the mud supply business. 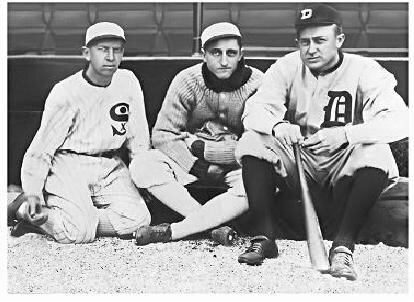 Soon the entire American League was using the amazing gunk. Later, the National League took to using it. Before Blackburne's death in the late 50's, his baseball rubbing mud was being used by every major and most minor leagues in the United States. Blackburne's mud business, along with the secret of the mud's source, was willed to a close pal, John Haas, who had worked with Blackburne on his mud-finding exploits. Haas eventually turned over the enterprise to his son-in-law, Burns Bintliff. Burns in turn passed it on to son Jim and his family. Each July the Bintliff crew heads a boat out to the "ole mud hole" and scoops up hundreds of pounds of the "Magic Mud", enough for one season. Then the precious product rest in barrels until the next spring when it's packed and shipped to each of the major league teams, minor league teams, most independent leagues and many colleges in time for opening day. Does Jim Bintliff wave a magic wand over the mud during the winter, or add some mysterious ingredients to it? That too is a dark secret. He'll never tell. What counts is that the muck, described as resembling a cross between chocolate pudding and whipped cold cream, really works! Other kinds of mud and even mechanical methods have been tried to de-slick baseballs, but they couldn't make the grade. So, when the umpire yells "Play ball!" rest assured, good New Jersey mud will be part of the game. © Lena Blackburne Baseball Rubbing Mud, all rights reserved.